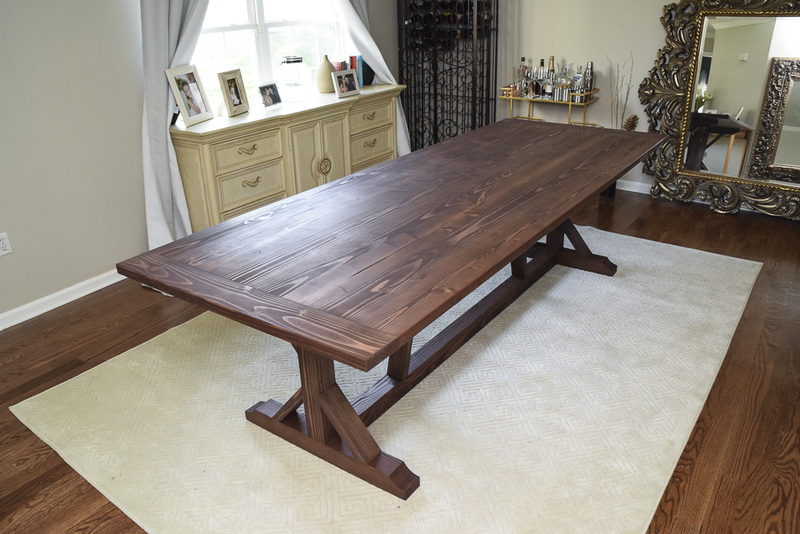 To build this pair of modern meets rustic farmhouse tables, I used construction-grade fir lumber (2×4’s, 2×6’s and 4×4’s) I picked up from my local home center which I planed smooth and cut off the rounded-over edges. This gave me squared stock which produced tight seams and a much cleaner, smoother surface. All knots and other defects were filled with epoxy, which was tinted brown to better blend with the final finish. Typical farmhouse style is minimal machining and defects left as is, but the customer’s decor called for a more modern design. 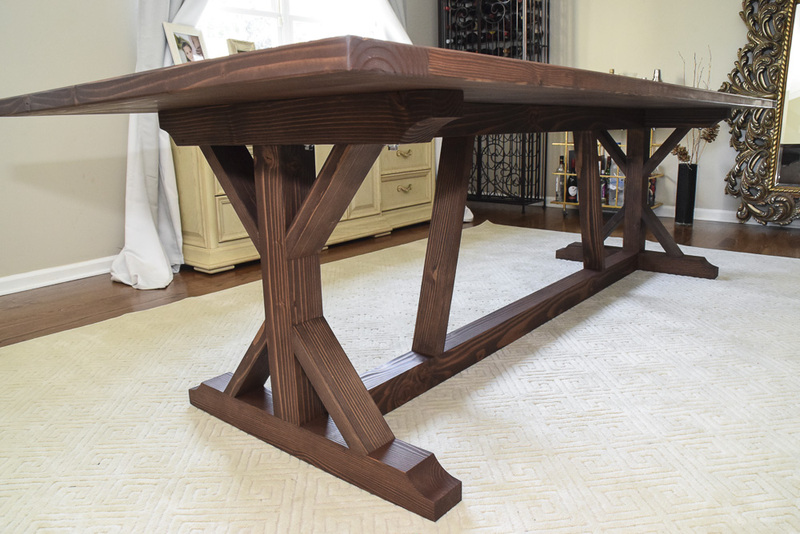 This dining table uses domino tenon joinery for the construction of the base and the breadboard ends, providing a solid fit. The top is secured thru slotted holes, to allow for expansion, using bolts in holes tapped with threads. These threaded holes deliver a superior hold and allow for repeated removal without loss of function. Finished in Rubio Monocoat oil-plus-2C chocolate for a warm, rich tone. Rubio Monocoat oil is a durable, zero-VOC, eco-friendly product with a matte sheen. I’ve hand-sanded all edges to ‘break’ the sharp edge. All edges of the table top have been routed with a 1/4″ round over. Overall size: 40 1/2″ wide x 9′ long x 30″ tall. 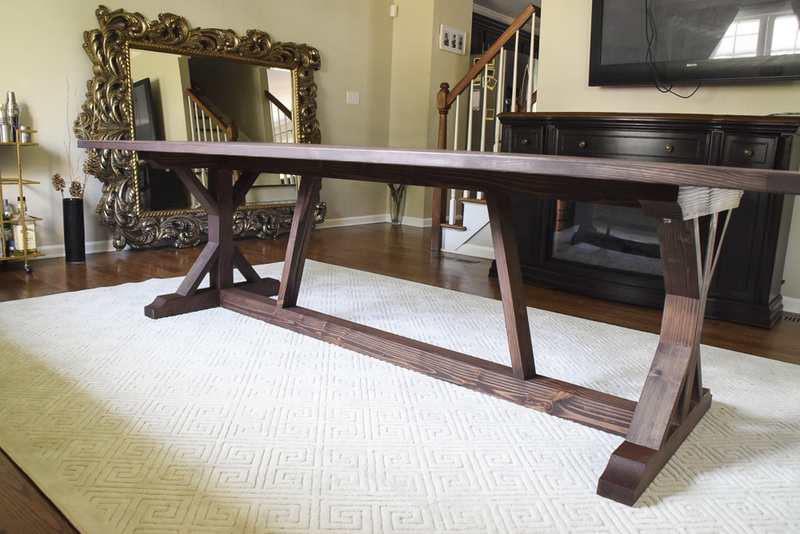 The base is 7ft long x 30″ wide. 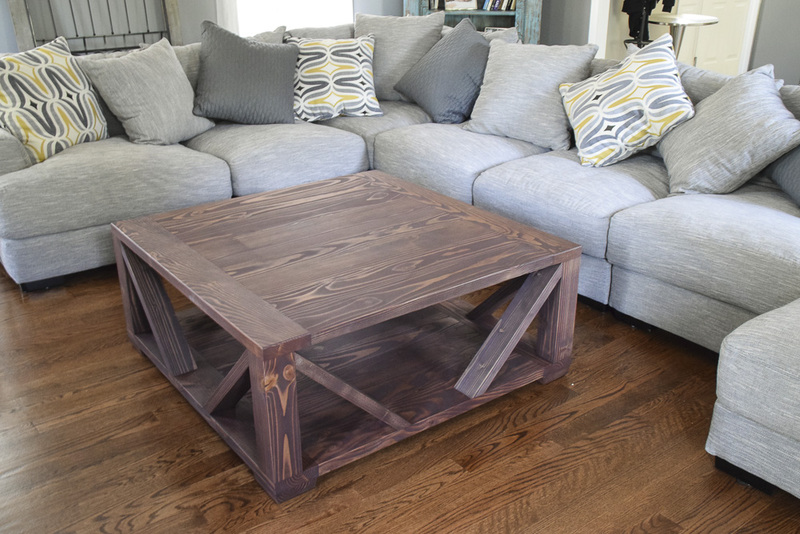 I also built this custom coffee table in the similar modern-rustic, farmhouse style using the same fir construction lumber. 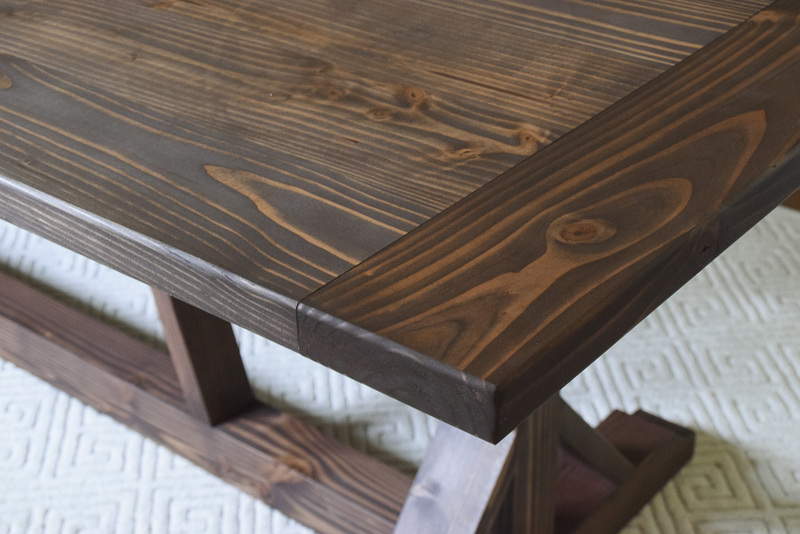 Joinery on this table consisted of hidden fasteners (pocket holes and lag screws) for a clean appearance. 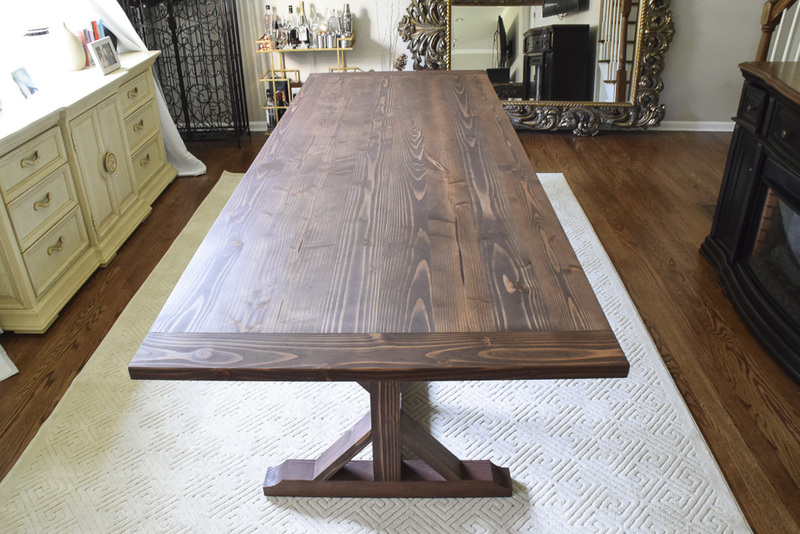 The same edge treatment and finish were used as the dining table. 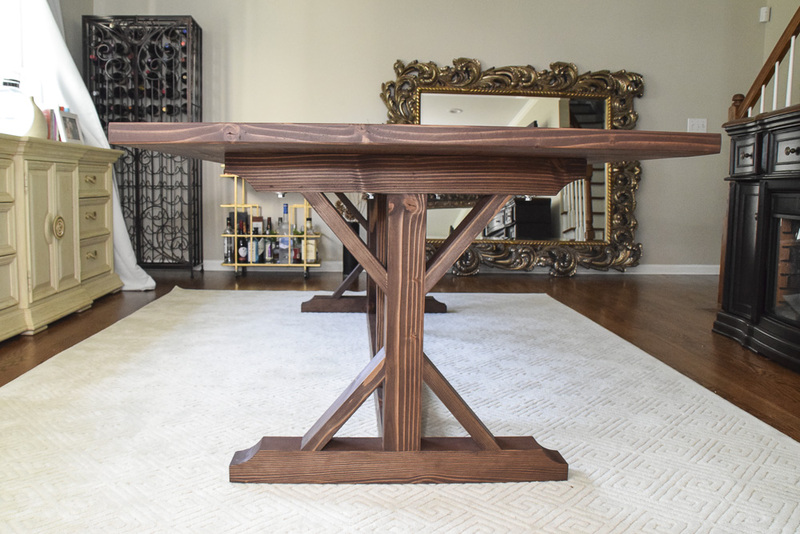 The table sits on beveled feet, creating a shadow line for visual appeal, with felt pads to protect the hardwood floor from scratching.